Halloween is always a fun time of year, with the opportunity for a little costume fun and to break out those creepy decorations. The kids get to indulge in candy. We suggest that you adults out there also do a little indulging as well to alleviate the fear and glee-filled screams of little ones as they discover what goodies are being offered at the door. 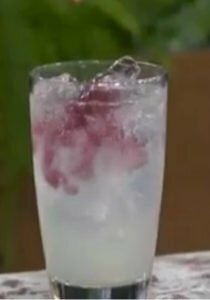 How to make the Drink? This cocktail isn’t far in construction from a typical Collins… maybe even a Comrade Collins. Easy to drink and for any of your lightweight guests a nice start to the night. A stronger cocktail for you to consider is the Ghoul’s Delight. What ingredients go in your Ghoul’s Delight? And how should you mix up this ghostly beverage? The scotch whiskey does have a little more punch to it. Adding Blue Curacao will introduce some citrus and sweetnes, plus a whole lot of blue. Shaking with Orange Juice will create a ghastly green that is worthy of a couple gummi worms as a garnish. Try a Ghoul’s Delight at Halloween, or anytime you want to get creative. We would suggest practicing with a cheap scotch to start. Save your single malts for savouring on their own, or with soda. 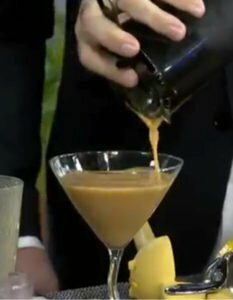 We have to offer up a seasonal martini cocktail for those fancier enthusiasts. Not every cocktail needs to be ghost, ghoul or vampire themed to be enjoyed during October. Starbucks starts early with their pumpkin spiced lattes and we see craft breweries ramping up production on their sweet and vanilla loaded winter ales. Try this tasty fall cocktail instead of a typical martini. If you have some suggestions for Halloween cocktails, we are all ears. We have each group of students in our bartending course spend the time to come up with a tasty concoction of their own.